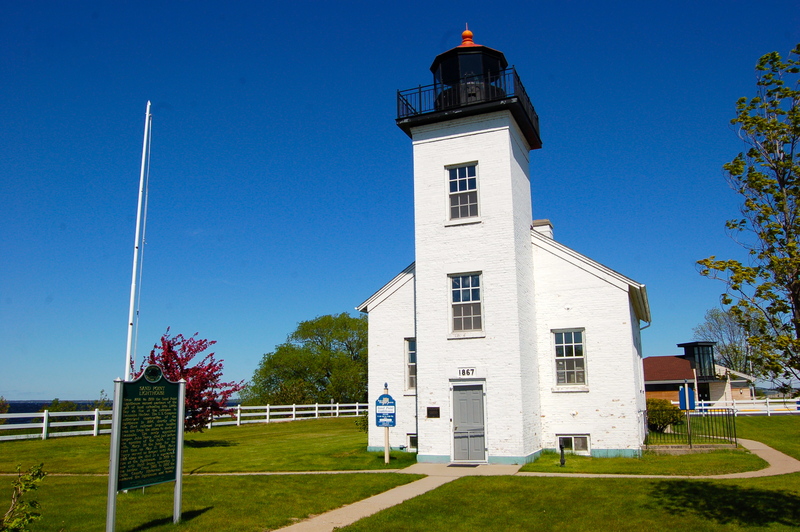 Michigan is home to some of the oldest lighthouses on the Great Lakes, with many that have stood strong against the elements for more than 100 years. 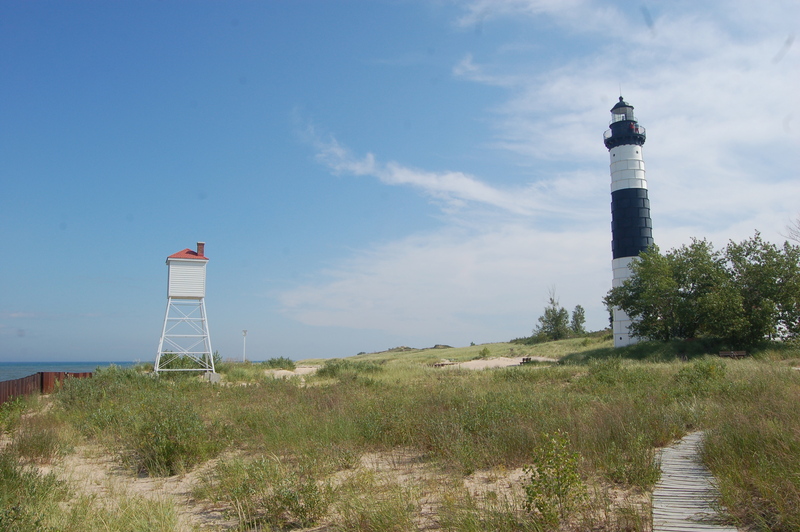 In 2017, four Michigan lighthouses will celebrate their 150th anniversary: Big Sable Point Lighthouse in Ludington State Park (Lake Michigan), Bois Blanc Island Lighthouse (Lake Huron), Gull Rock Lighthouse (Lake Superior), and Sand Point Lighthouse in Escanaba (Lake Michigan). Two of these lighthouses are easy to visit and are open to the public for tower climbs during the summer, while the other two are on islands and are not open to the public. 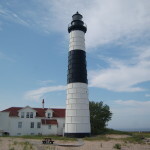 Below we will give a bit of history and information about each light, as well as special events planned this year where applicable. Let’s celebrate all of these Michigan beacons that were first lit in 1867! 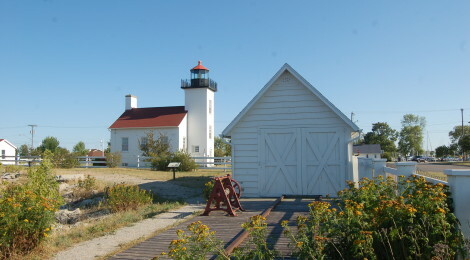 Bois Blanc Island Lighthouse, Lake Huron – This privately owned lighthouse is located on Bois Blanc Island, the largest of the three islands (Bois Blanc, Round, Mackinac) in the Straits of Mackinac to the east of the Mackinac Bridge. 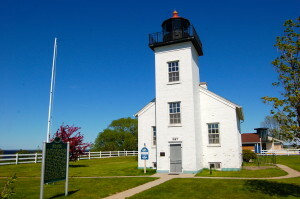 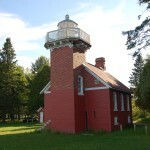 It is constructed of brick and like many other lighthouse features a 1.5 story dwelling with an attached tower. The tower is 38 feet tall. 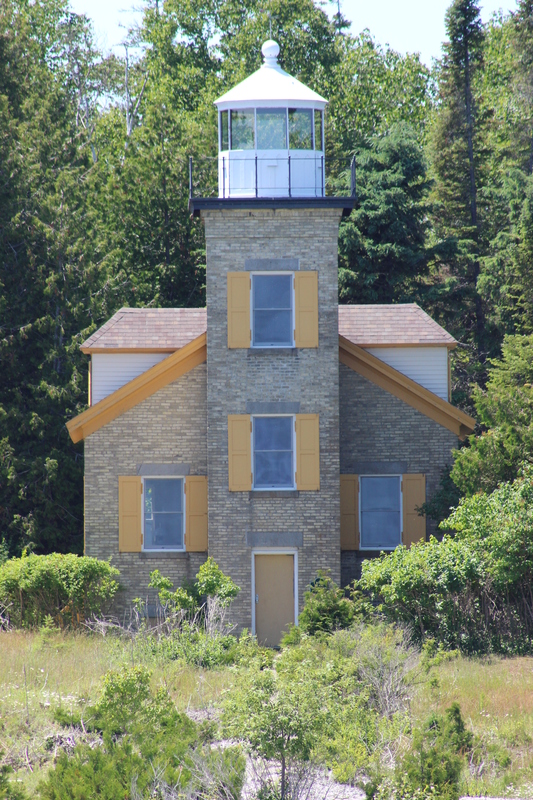 The best way to see the Bois Blanc Island Lighthouse is on the Eastbound Lighthouse Cruise from Shepler’s Ferry out of Mackinaw City. Gull Rock Lighthouse, Lake Superior – Standing atop a rocky peak that pokes out above Lake Superior just west of Manitou Island, the Gull Rock Lighthouse can be tricky to visit. 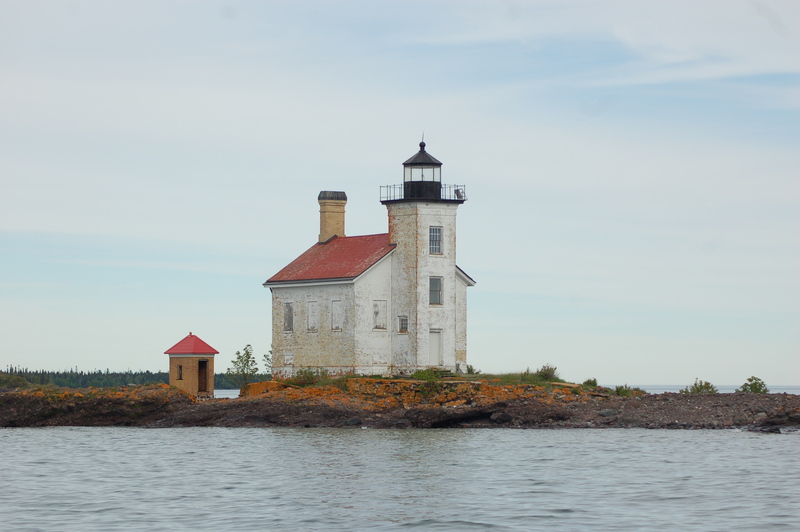 We were fortunate enough to view this lighthouse while on a charter trip with Sand Point Charters last summer (we also viewed the Manitou Island Lighthouse and the Mendota Lighthouse). 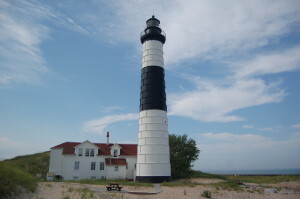 This lighthouse is made of brick and has a 1.5 story dwelling with an attached tower that stands 46 feet tall. 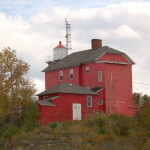 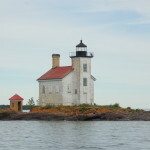 The lighthouse is painted white with a black lantern room and red roof; the only other building that remains is the yellow brick outhouse.